With this free rock music app you can organize your party only with your mobile or tablet, listen and sing free rock music. There are a lot of rock songs from different musical styles with the best free rock music. 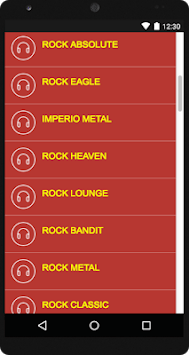 You can find all kinds of free rock songs in the application. After download Free Rock Music do not forget to rate it with 5 stars, writing about what you like and what you miss on the app. Your opinion is important to improve our work. Rock, Rock n 'Roll, Hard Rock, Classic Rock, Blues, Grunge, Punk, R & B, Soul and Metal, Christian music and alternative music. 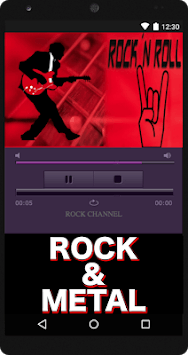 rock radio free music player offers over 50 channels of the best rock music available. Each one is hand-programmed by a passionate channel manager who is an expert in that style. Find all your favorite styles including Classic Rock, 90¨s, Alternative Rock, Indie Rock, Modern Rock, Metal, and many more! 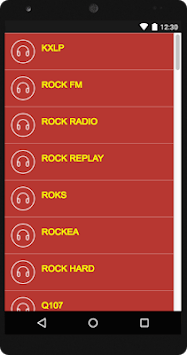 rock radio free music player is the highest ranking and most listened to digital radio network for rock music fans around the globe and it is now available anywhere you want to listen with our newly redesigned Android app. Boost your energy and feel great with simple rock radio free music player app for phone and tablet! If rock music is your thing, listen to rock radio which offers the best radio stations from all around the world. By downloading this live radio you will have them all available for free. Enjoy listening to the best rock songs free of charge wherever you happen to be!